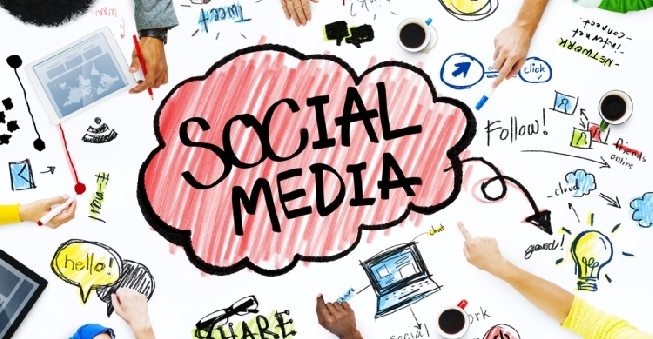 Let’s explore what, exactly, a social media strategy needs to become profitable. Some people start a social media campaign because they see it as a “free” strategy. It doesn’t cost anything to create a page for your company, nor does it cost anything to make a post (unless you decide to boost or promote it). But if you want to see significant results, you can’t treat it like a free strategy; you need to be prepared to invest in it, whether that’s in the form of paid ads, talent to join your team, or raw time to invest in your efforts. You can’t start just posting blindly to social media and expect prospective followers to like what you’re posting. Before you get started, you should have a formally documented strategy that dictates your goals, your target audience, and how you plan to grow over time. Profitable social media strategies are consistent. If you treat social media as a novelty, you might post with heavy volume one week, but post nothing the next week, and your activity could change drastically from day to day. Followers want to know what they can expect from you, so if you go through these rapid changes in volume, you’ll alienate the very people you’re trying to attract. Some social media accounts can get by with posting once a week to keep their followers happy, but if you want to strike a profit, you need to be more active than that. Depending on the platform you’re using, you should be posting at least multiple times daily, and engaging with your followers on a nearly constant basis. Social media is a platform for exchanging value; if you want your customers to buy from you, or even give you a “like” or a comment, you need to give them some value in exchange. That value can come in many different forms; for example, give them discounts or special deals, or you could provide them with value in the form of practical or entertaining content. Social media is also a place for people to connect with other people. If you approach your social media strategy as a company, rather than an individual, you’re going to alienate people. If you’re posting on behalf of the company brand, you’ll obviously need to make some adjustments to the voice and tone you use—but you should still have plenty of personal touch in your campaign. Speaking of personal touches, merely providing content to the masses and hoping for more followers isn’t enough if you want to grow a thriving, interactive audience. Passive followers, who technically follow you but don’t engage with your brand, are practically worthless. If you want your followers to be immersed in your brand experience, you need to engage with them on a regular basis, through questions, conversations, and content shares. 8. Profitable calls to action. Your call-to-action (CTA) is only going to make money if you have a strong, invested audience to take advantage of it. Here, your goal is to occasionally call your audience to action, by sending them to your website or giving them the opportunity to buy something. Whatever the destination or intended action, it should either generate revenue or get your brand one step closer to generating revenue. Chances are, your first wave of tactics isn’t going to be enough to strike a reasonable profit—but how can you tell for sure, and what can you do about it? Analytics is the answer to both. You need to have a resource and a plan to measure exactly how effective your campaign has been, and note points that can be improved in the future. Ongoing optimization is the only way to secure a long-term profit. 10. A plan to scale. Finally, you’ll need to have a plan in place to scale your campaign. The bigger your social empire is, the more profitable it’s going to become, since every action you take will be magnified in significance with a wider audience. That means posting more often, leveraging more platforms, and maybe even hiring new people to handle the increased workload.